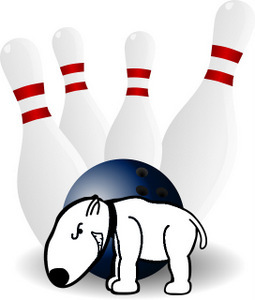 Usage notes: Ninepin bowling is all about knocking over delicately balanced pins with the help of a strategically thrown ball. So you can imagine how a dog arriving on the lane and being his normal playful self could really mess up the game. 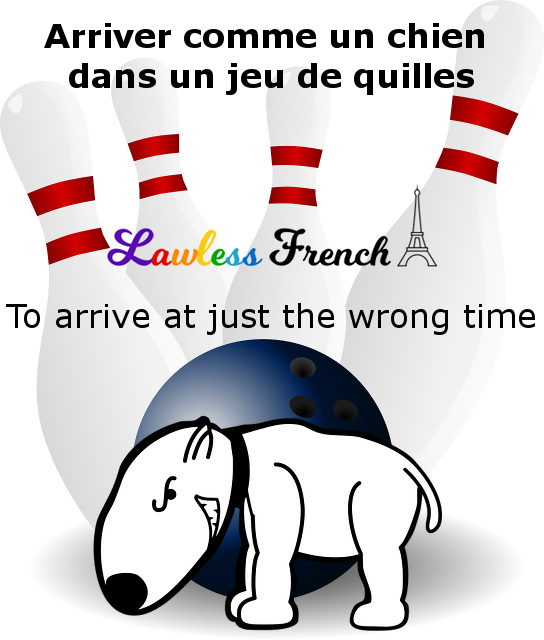 The French expression arriver comme un chien dans un jeu de quilles is a vivid way of describing something that arrives at the worst possible time. Je me relaxais après une longue journée quand ma belle-famille est arrivée comme un chien dans un jeu de quilles. I was relaxing after a long day when my in-laws arrived (the moment I least wanted to see them).